We are proud to announce our latest tool released to the PostgreSQL community. We know that many people want a visual tool to configure their PostgreSQL database servers. 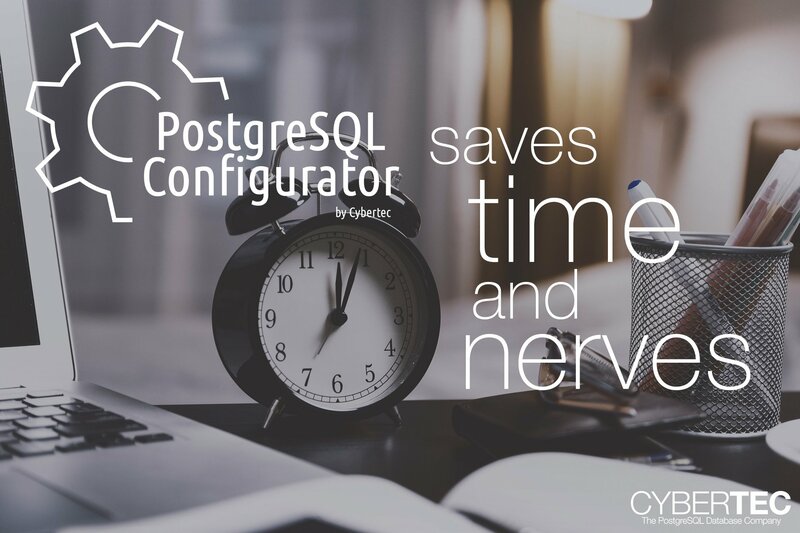 Therefore we proudly want to announce Cybertec pgconfigurator, which has been designed to give users a tool, to quickly determine the most important config parameters to be used in postgresql.conf. The tool can be found and used freely at the Cybertec pgconfigurator product page on our website. The idea behind Cybertec pgconfigurator is to to give people a quick and easy way to generate or to cross check existing config files (postgresql.conf). We have used our experience to help users tune their database and achieve better performance. pgconfigurator will determine all vital performance parameters and come up with clever suggestions. Keep in mind that an automatic tool cannot replace a human in all cases and it still makes sense to hire a professional in case of doubt. However, pgconfigurator can help you to get started and to cleverly configure your servers. We hope that our first release of pgconfigurator is helpful to you. Of course feedback is always welcome and we are eager to hear from you. Tell us what you want us to improve and tell us about settings you don’t agree with. We will do our best to collect all those recommendations and make pgconfigurator even better. We are planning to maintain pgconfigurator long term and add support for PostgreSQL 11 and higher in the future. Also: Share the news! Tell your friends, workmates and everybody you know about Cybertec pgconfigurator.